Remember good old times, having some few multicolored pens in front of you, coloring funny pictures? Yes, you are right. It used to be kids stuff. 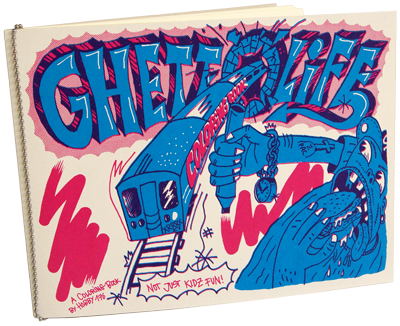 The Ghettolife Coloring Book is not just for kids, but your homies, friends, buddies, amigos, brothers, crew members… even your aged parents! Twentyseven badass ghettolife pictures are waiting to be filled up with fancy colors.